I think he's dead anyway. I mean, if tu took a beating like that, would tu live? 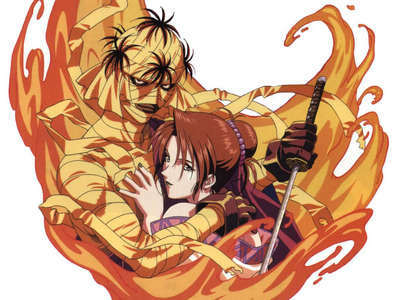 Honestly, there are probably a lot more, buuuut... Shishio's death in Rurouni Kenshin. It's dramatic, and it ain't pretty. I mean, a guy burning to death is pretty satisfying, wouldn't tu say?